Sunday Quote!- Russell Moore on Christmas and the Strangeness of Christianity | J.W. Wartick -"Always Have a Reason"
Moore also points to Hanukkah and its importance to Judaism as going beyond selling blue stars of David at retail stores. His point is that we need to educate the broader culture about what it means to be Christian, and that means embracing the “weirdness” of our faith rather than working entirely to downplay it. In the context of religious liberty, that means not sacrificing the central claims of the Gospel when trying to make our points about what we believe and why we think it should be protected speech or act. I recommend Moore’s book, Onward: Engaging the Culture Without Losing the Gospel to you this Christmas season. It’s not a Christmas book of course, but it is worth your time and money to acquire and read it. 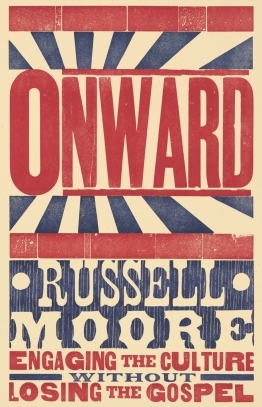 Russell Moore, Onward: Engaging the Culture Without Losing the Gospel (Nashville, TN: B&H Publishing, 2015). « Really Recommended Posts 12/19/15- Christmas, the Incarnation, science, and more! I wasn’t sure about Moore’s book but if you suggest it I would consider it! It is quite excellent overall, though unfortunately it does have a small section promoting complementarianism.